Kent’s Darren Stevens said: “It’s hard to say what a par score will be in the final innings, but we have talked about taking quick wickets in the morning. We would be happy to chase anything up to 180, but even if the target ended up being 230 we would have a decent chance. “Beating the team who finished runners-up in the Championship last season would be a tremendous boost for us. But it is only one game and this season is going to be a learning process for us. 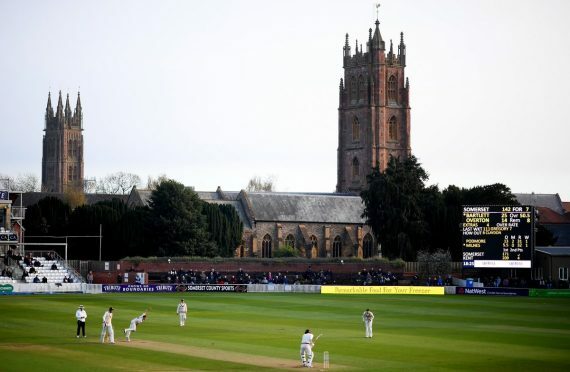 Somerset skipper Tom Abell said: “We bowled really well today, but unfortunately we have not been anything like our best with the bat in this game and that has given us a lot of work to do. “George Bartlett and Craig Overton have kept us in the game with their stand at the end of the day and we need to build on that tomorrow. Last season we managed to dig ourselves out of some tough positions and I am looking for the same here. This entry was posted	on Sunday, April 7th, 2019 at 7:00 pm	and is filed under Cricket, Featured. You can follow any responses to this entry through the RSS 2.0 feed. Both comments and pings are currently closed.